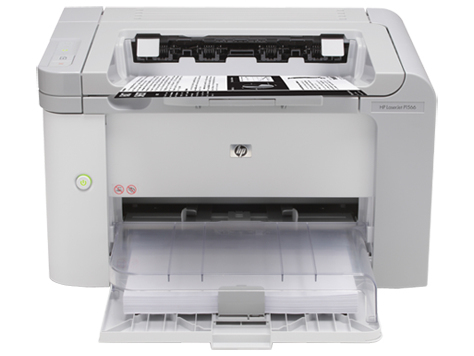 CE663A HP LaserJet P1566 A4 USB Printer - Refurbished with 3 months Return To Base Warranty & Working Consumables. The HP LaserJet P1566 A4 USB Printer is as good as buying new as all worn parts are replaced. This saves you up to 50% off the price of a brand new printer. We are confident that you will be 100% satisfied with your HP LaserJet P1566 A4 USB Printer and are here to help with any support questions you may have. The Manufacturers part number/product code for this item is: CE663A. Print exceptional, black-and-white documents at up to 23 ppm letter/22 ppm A4 from your desktop. Save money using less energy with Instant-on Technology. Save even more energy with HP Auto-On/Auto-Off Technology. Business professionals who need a fast, desktop laser printer that's easy to use and helps them save energy and resources. - Print documents fast—up to 23 ppm letter/22 ppm A4. With Instant-on Technology, pages start and finish printing faster—get a first page out in as fast as 7 seconds. - Choose the media that suits your business purpose. The 250-sheet paper tray and 10-sheet priority input slot handle a wide variety of media types—card stock, transparencies, labels, envelopes and paper up to legal size. - Produce professional-quality prints—HP spherically shaped toner consistently delivers bold, crisp text and sharp images. - HP FastRes 1200 delivers detailed, professional-quality prints without sacrificing speed. HP FastRes 1200 technology offers excellent text and higher-resolution images. - Keep printing costs manageable—save money by conserving energy with Instant-on Technology. Save even more with HP Auto-On/Auto-Off Technology, which senses your printing activity, turning on and off automatically. - Get out-of-the-box driver installation. HP Smart Install makes it easy to quickly set up the printer without a CD—just plug in and install. - Set up and start printing right away with an easy-to-use, intuitive control panel. The simplified interface includes four LED lights, a cancel button and a "go" button for easy access to functions. - Receive reliable, outstanding results—page after page, cartridge after cartridge—using Original HP supplies designed for your printer. When it's time to replace a toner cartridge, HP SureSupply helps you find and purchase the right supplies. 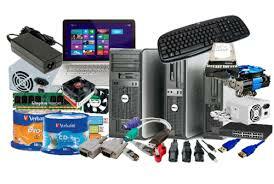 - Get more value from your technology and better results for your business with HP Total Care. The portfolio of services, software, solutions and support from HP and our partners helps you manage, protect and grow your business—whichever stage it’s in. - Get up to 50 percent energy savings over competitive laser products, using Instant-on Technology. And get additional, effortless savings with HP Auto-On/Auto-Off Technology—it senses your printing activity, turning on and off automatically. - Reduce wasted paper by printing only the content you want. HP Smart Web Printing delivers more usable web pages by printing web pages without cutoff edges and blank pages. - Save space with an ultra-compact, space-saving printer with a sleek, industrial design. Improve your office environment by selecting the "quiet" mode. - Minimal packaging is made from 10 to 30 percent recycled material, reducing your environmental imapact. Cardboard packaging is 100% recyclable. Get free and easy recycling—cartridges returned through HP Planet Partners are recycled responsibly. -  HP Auto-On and Auto-Off capabilities subject to printer and settings. -  HP Smart Install works with Windows only. -  Program features and availability may vary by country. For more information, visit www.hp.com/learn/suresupply. -  Energy savings based on HP testing using the ENERGY STAR® program’s Typical Energy Consumption (TEC) method on HP LaserJet products with Instant-on Technology vs. top competitive models as of March 2009. -  Requires Microsoft Internet Explorer 6.0-8.0. -  Pages will print at half speed in quiet mode. -  Cardboard packaging recycling may not be available in your area.